Files From Toni: Corrie ten Boom Warns Against Pre-Tribulation Rapture False Doctrine. Corrie ten Boom Warns Against Pre-Tribulation Rapture False Doctrine. Many Christians are unaware of the warning written in a letter by Corrie ten Boom where Miss ten Boom warns against a pre-tribulation rapture false doctrine. A Dutch Christian and a survivor of the Nazi Holocaust concentration camps. Corrie spearheaded a rescue operation in Holland that helped hundreds of Jews escape the Nazi extermination camps, and travelled all over the world as an ambassador for Christ telling her story. In her worldwide travels Miss ten Boom met with many Christians abroad. Many in the Suffering Church were enduring persecution just as she had. She met with Church leaders of the underground church in China. There she became aware of what had happened to the Chinese church in 1949. At that time Mao Tse Tung was bringing China into communism. The American missionaries had left the country. Chinese Christians entered into a time of intense persecution. During that period the Pre-Tribulation Rapture doctrine had been the accepted teaching. But there was a problem. And it turned out to be a serious one. 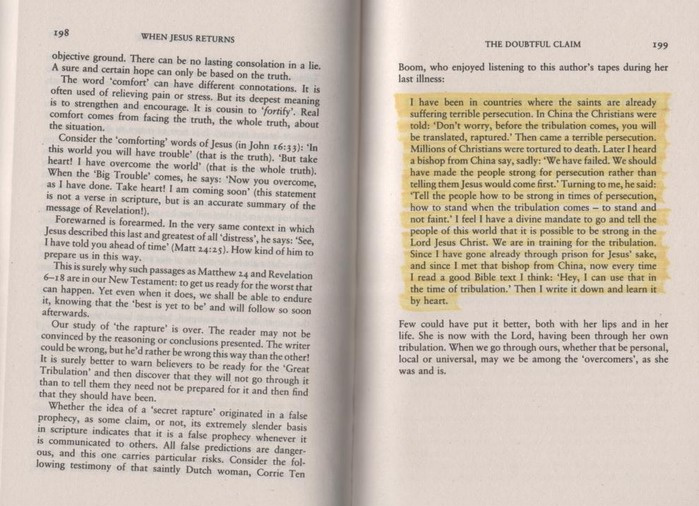 This Biblically unfounded doctrine had not prepared the Chinese Church for witness under trial. Christian believers were interrogated and brutalized under the Red Guard. Many fell away from the faith in those times. Corrie ten Boom's story is told through her book The Hiding Place, and the motion picture released by the same name in the 1970s. Corrie ten Boom went home to be with her Lord April 15, 1983, but her inspiring testimony for Christ will endure. An excerpt of the letter was published in the book When Jesus Returns by a British evangelist and Bible teacher David Pawson. 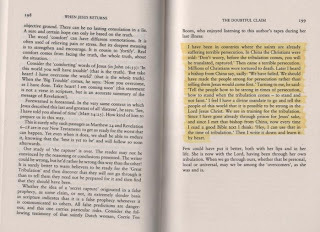 It is the highlighted section on page 199 copied from the book in the image above. "The world is deathly ill. It is dying. The Great Physician has already signed the death certificate. Yet there is still a great work for Christians to do. They are to be streams of living water, channels of mercy to those who are still in the world. It is possible for them to do this because they are overcomers. Christians are ambassadors for Christ. They are representatives from Heaven to this dying world. And because of our presence here, things will change. There are some among us teaching there will be no tribulation that the Christians will be able to escape all this. These are the false teachers that Jesus was warning us to expect in the latter days. Mos of them have little knowledge of what is already going on across the world. I have been in countries where the saints are already suffering terrible persecution. to stand and not faint." I feel I have a divine mandate to go and tell the people of this world that it is possible to be strong in the Lord Jesus Christ. We are in training for the tribulation, but more than sixty percent of the Body of Christ across the world has already entered into the tribulation. There is no way to escape it. We are next. "When you take a train trip to Amsterdam, when do I give you the money for the ticket?" "No Daddy, you give me the money for the ticket just before we get on the train." "That's is right," my father said,"and so it is with God's strength." "Our Father in heaven knows when you need the strength to be a martyr for Jesus Christ." "He will supply all you need just in time." Related Story: Is The "Pre-Tribulation Rapture" "Imminent?" Related Story: Corrie Ten Boom-A "Tramp For The Lord"
Related Story: Who's Been Bewitching The Pre-Trib Rapture False Teachers? To share this post, click the "share icon" at the end of the post. You are very welcome, Ron. Thank you for pointing out my typos! I appreciate it. Things can get pretty hectic on this end sometimes, and I get ahead of myself. If the pre-trib rapture is false doctrine then how could the second advent come as "a thief in the night", whereas the opening of the first seal dictates a false peace agreement in israel that allows the rebuilding of the third temple, starting the 70th week of daniel and the final 7 years of history. If the church were not translated prior to this date you would be able to map out to the day the second coming of jesus, and would no longer necessitate the converting of 144,000 jewish remnant into the priesthood of the gospel by the 2 prophets. Antichrist cannot manifest power over the Holy Spirit, which is why the church body, the bride, whom the Holy Spirit indwells, is met with the bridegroom in the air at the time the Holy Spirit is removed from the earth. Both enoch and elijah knew not death and ascended to heaven, so there is precedence in the bible for this mechanism. I reference my information from the book Things To Come by Pentecost. "We are appointed not to wrath but to salvation. - 1 Thess 5:9"
There is nothing in scripture as far as I can see that says the tribulation in seven years, in fact, what I have read and believe to be true from scripture is that the great tribulation will last 3-½ years. Also, there is nothing in the scriptures that say there will be a 7 year peace treaty; What Daniel does say that “he will confirm a covenant with many”; A “covenant” defined in the Greek-Hebrew concordance is “league”, and says nothing of a “peace treaty”. In fact, when the covenant is confirmed, it will be a pact of death with the devil for the Jews. Jesus gave us cosmic signs to watch for before His coming, and it is perfectly scriptural to map out when His return will be. If he said it, then believe it, and not “man’s false dispensational pre-trib” teachings. Please read Matthew 24 in its entirety. God’s wrath does not come upon the earth until the 6th seal, and that’s the wrath we are delivered from. That is the “blessed hope” Paul speaks of. We are not delivered from persecution and tribulation during satans rule on earth. Matthew 24 and Revelation Chapter 6 parallel each other. God’s great day of wrath comes when the 6th seal is opened, “For the gread day of his wrath is come” vs. 17 in Revelation Chapter 6, and this is the wrath God delivers his people from. Please read it, and the articles I have written listed at the end of Corrie’s entry on the Pre-Tribulation Rapture False Doctrine to gain more insight. You will be blessed. I just came across your blog and what a timely warning to those deceived by the false teaching of an early escape. Things are about to get much worse and the escapist are not prepared and their faith will be shaken because they believed in a lie. I was once under that lie until the Lord showed me the truth instead of man's teachings. Any honest and sincere believe knows well that the Lord has many wrinkles and spots to iron out of the spoiled and lukewarm church here. When God sent the 10 tribulation type plagues on Egypt His people were not raptured out,they remained safe in Goshen. 'Come out from among them that you recieve not her plagues' is what the Lord is saying to His worldly Church today. Blessings to you, and how true what you said. I hope and pray that the true word of God reaches those who are deceived. I have literally had thousands of people come here and read my articles of the false pre-trib teachings, whom the Lord has lead, I sincerely believe. May their minds and hearts receive what He has said. what a blessing. I have always been taught by my grandfather and father that we (particularly I) would see and live through the "great Tribulation". This ideology has not been taken very well within the churches we attended. My grandfather (a missionary in Peru/Chile for over 50 years) studied prophecy and taught me as I grew up with him. I have read the Hiding place so many times and become blessed by it over and over again. God has revealed to me (not to long ago) that I would be a prisoner during the great tribulation and be a shepherd over a little flock. When my husband, (a researcher of prophecy and Today's news) found your blog he made me read your posting. I hope you do not mind, but I copied and pasted your posting on my own blog: astrangerintheland.blogspot.com however I did give you and your blog all the credit. I even included a link to your blog. I only write for my family and friends but I thought they would be interested in this post. Again thank you for this posting. God has his true Shepherd's out there doing their job. God bless! i don't remember seeing corie tenboom listed among the bible prophets. is she even a theologian? i don't understand what qualifies her to speak authoritativly on this subject. I think Corrie has explained very well, using scripture, and from her tribulation experiences, makes her a person of great servant and saint of God and spiritual insight that those who believe in false teachings going through the American church should listen to. It is obvious that Corrie has read her Bible, is led by the Holy Spirit, and does not follow man’s false teachings. There's a danger in allowing personal experience dictate one's interpretation of Scripture. Jesus did say Christians would be persecuted (Mtth 10, Luke 10, Mtth 24...1 Peter 3, etc.) but Scripture also confirms an event called the rapture in 1 Thess 4:17. Properly exegeted, the phrase "caught up" is rendered "harpazo" which means "carried off by force." There's no question that a rapture will occur, but the controversy is over will it occur before the Great Tribulation Period. Well, the Biblical timeline explains that Christ will first come back and rapture His church (the dead in Christ will rise first) then in Rev. 19 have a marriage ceremony. And in Revelation 20 come back to put an end to the antichrist. How can Christ come and rapture the church, have a marriage ceremony in heaven, and be attacking the antichrist with an army of angels at the same time? The Bible never told us to look forward to escaping persecution to begin with. But just as during Paul's time, many Christians have used the rapture view as a way of escape. A pre-trib rapture will occur...but its purpose isn't to escape tribulation; but rather to prepare for retribution. As far as tribulation goes...you don't have to wait for a certain day and time; tribulation can occur at any time. It has occured against the church since the time of Demetian, the Roman emperor. And still does. PRE-TRIB, MID-TRIB, AFTER-TRIB, WHATEVER, PERSONALLY SPEAKING I FIND "ALL" OF THIS TO BE EXTREMELY CONFUSING, AND HAVE YET TO RECEIVE EVEN ONE VALID ANSWER ON THIS WHOLE ISSUE. WHEN I READ "LUKE 21:36" IT SEEMS TO PUT A TOTALLY DIFFERENT SPIN ON THIS ISSUE, BUT THEN I'M TOLD THIS VERSE DOESN'T MEAN WHAT WE THINK IT DOES, WHAT??? SO, ONCE AGAIN, CONFUSION IS EVER GROWING AS, I KEEP SAYING TO MYSELF, "WHY WOULD A LOVING, HOLY, AND WONDERFUL LORD, LET THOSE WHO LOVE HIM AND THE FATHER WITH ALL OF THEIR HEART, AND WHO SERVE THEM AND LOOK FORWARD TO SEEING THEM, BE PURPOSELY LEAD ASTRAY, DUPED LIKE THE REST OF THE WORLD, AND EVENTUALLY SLAUGHTERED FOR THIS LOVE"(I KNOW, HE DIDN'T SPARE JESUS SO WHY SHOULD WE BE SPARED)???? I GUESS WHAT CORRIE, YOURSELF AND OTHERS ARE SAYING IS,"NO MATTER WHAT CHRISTIANS ARE GOING TO BE MADE TO FOLLOW SATAN, THE FALSE PROPHET, ETC., BE TRICKED, AND BEHEADED FOR SHOWING JUST HOW MUCH WE LOVE AND SERVE GOD AND JESUS"??? SO, LIKE THE APOSTLES, CHRISTIANS WILL BE MURDERED FOR SERVING JESUS, NO MATTER WHAT, AND THERE WILL BE "NO" ESCAPE FOR THEM, AND THE NON-BELIEVERS AND SATAN WILL GET THE UPPER HAND ON THEM?? TALK ABOUT A BLEAK PICTURE HUH???? THANKS FOR POSTING THIS, IT MAKES ME FEEL BETTER ABOUT BEING A CHRISTIAN, STUPID IN SOME WAYS BECAUSE THE SCRIPTURES THAT I READ ALONG WITH LUKE 21:36 SOUND NOTHING LIKE WHAT YOU, CORRIE, AND THE OTHERS ARE SAYING, BUT THANKS FOR BRINGING IT ALL HOME. Jesus’ first appearance was in the 1st century. Hebrews 9:28 clearly shows that there is only a single return at a “second time which is for salvation” and not a return and then a later Armageddon return. Confirmation of this is gained by understanding the contexts in which the Greek words for Jesus’ return were used in the Scriptures, and not a false pre-trib secret rapture. This is a false doctrine. No where does scripture teach this satanic doctrine. It's really a blessing how the Lord gives us the time and the place to serve Him ,do His will. I'm blessed as I'm sure you are. What is beautiful about God's word is that a child a new believer can easily understand it before the Semitary preachers come around and confuse the new believer. Many are to proud to admit they were deceived by the early rapture false teaching. The timeline Jesus gave us (below)for the rapture is not complicated until false teaching is added to it. It does not say second group of elect that missed the first rapture .It says elect ! I would like to address the questions of Anonymous (#2 ENTRY) Note: Written in a hurry so please forgive any type-o's. Q) IF THE PRE-TRIB RAPTURE IS FALSE DOCTRINE THEN HOW COULD THE SECOND ADVENT COME AS "A THIEF IN THE NIGHT?" A) In Matthew 24:37, We are told that the last days would be as it was in the beginning, as in the days of Noah. In Matthew 24:36-44, we see that people are going about their daily business as Noah entered the Ark. "As were the days of Noah...they were unaware until the flood came and swept them all away, so will be the coming of the Son of Man." and that 2 shall be in the field and 1 will be taken. In Matthew 13:24-30,36-43- We have the parable of the Wheat and Tares where you see that the tares (wicked) are taken and burned and the wheat (righteous) is left to be harvested. Noah was not taken, the wicked were destroyed first and then Noah's family was spared and left to the harvest. In these verses where two people are side-by-side and one person is "taken" has nothing to do with a Rapture. What is being described here is the exact opposite. Two people will be side-by-side and the people who will be "taken" will be those who (as in the days of Noah) are "swept away" in the flood of judgement. That's exactly what happened with Noah. The righteous (Noah and his family) were left behind to restart God's creation while the unrighteous were destroyed. And so, it is not the righteous who will be taken away... it is the righteous who will be left behind! It is the unrighteous who will be swept away. If the wicked goes first, do you really want to be raptured? A) Yes, believers are told specificaly to "map" it out. Daniel 12:11- And from the time that the daily sacrifice is taken away, and the abomination of desolation is set up, there shall be one thousand two hundred and ninety / 1290 days. Revelation 11:2 and 13:5- both mention 42 months and the Parable of the Fig tree in Matthew 24. Q) ...AND WOULD NO LONGER NECESSITATE THE CONVERTING OF 144,000 JEWISH REMNANT INTO THE PRIESTHOOD OF THE GOSPEL BY THE 2 PROPHETS. A) First of all, there are two groups of 144,000 and neither of them say "Jewish" but rather ISRAEL. Israel is the apple of God's eyes. Israel are those who follow and are submissive to the God of Abraham, Isaac and Jacob and are scattered all over the earth; most not knowing anything of their blood line nor heritage. Revelation 14- This first group is taken to heaven (redeemed from the earth) and are given God's name written in their foreheads. You can find a previous example in Ezekiel 9:4 "And the Lord said unto him, Go through the midst of the city, through the midst of Jerusalem, and set a mark upon the foreheads of the men that sigh and that cry for all the abominations that be done in the midst thereof." In Deuteronomy 31:19- Moses was given a new song to teach to the children of Israel, (God's people, not necessarily "Jewish") "Now therefore write ye this song for you, and teach it the children of Israel: put it in their mouths, that this song may be a witness for me against the children of Israel." Revelation 14:4- The 144,000 are "They which were not defiled with women; for they are virgins. These are they which follow the Lamb whithersoever He goeth. These were redeemed from among men, being the first fruits (first ones redeemed/taken) unto God and to the Lamb." While the first fruits group is in heaven there are three angels. One proclaims the hour of God's judgement has come. The second proclaims Babylon is fallen and the third gives a warning against those who receive the mark of the beast. The time frame of when this group is in heaven is obvious. They are in heaven before the Sixth Seal Judgment during the first half of the tribulation before time Babylon falls and right before the mark of the beast is enforced. Will ANYBODY notice a 144,000 people missing? It's doubtful and while there is a small fraction of people who go to meet with God, it is not a rapture of all 'good christians' on any significant scale. THE CHURCH IS OFTEN REFERED TO IN FEMININE TERMS. NOT DEFILED BY THE THE FALSE TEACHINGS AND WHORES/ABOMINATIONS OF THE CHURCH! Revelation 1:11 - Saying, I am Alpha and Omega, the first and the last: and, What thou seest, write in a book, and send it unto the seven CHURCHES which are in Asia; unto Ephesus, and unto Smyrna, and unto Pergamos, and unto Thyatira, and unto Sardis, and unto Philadelphia, and unto Laodicea. write upon him the name of my God, and the name of the city of my God, which is new Jerusalem, which cometh down out of heaven from my God: and I will write upon him my new name. He that hath an ear, let him hear what the Spirit saith unto the CHURCHES. n hear my voice, and open the door, I will come in to him, and will sup with him, and he with me. To him that overcometh will I grant to sit with me in my throne, even as I also overcame, and am set down with my Father in his throne. He that hath an ear, lET HIM HEAR WHAT THE SPIRIT SAITH UNTO THE CHURCHES. THE SECOND GROUP OF 144,000. Revelation 7- And I heard the number of them which were sealed: and there were sealed an hundred and forty and four thousand of all the tribes of the children of Israel. 12,000 of 12 tribes of Israel. John sees the first group the heaven standing before the throne of God. In ch.7, he's seeing a vision taking place on earth. So the first group IS in heaven, the latter are still firmly planted on earth. John notes four angels standing on the four corners of the earth holding the four winds of the earth reading themselves to cause damage to the earth. Another angel ascends from the east having the seal of the Living God and cries with a loud voice to the other four angels to NOT HURT THE EARTH YET TILL "WE HAVE SEALED THE SERVANTS OF OUR GOD IN THEIR FOREHEADS." Here is the angels who seal the servants of God in their foreheads. It is the angels themselves who seal the servants of God by putting God's seal in their foreheads. The servants are on earth. Those who are sealed number 12,000 each from 12 of the 14 tribes of Israel. First they are sealed, and the next thing mentioned in chapter 7 is that they are standing clothed in white robes before the throne of God in heaven. Revelation 7:13-15- "And one of the elders answered saying unto me, What are these which are arrayed in white robes? and whence came they? And I said unto him, Sir, thou knowest. And he said unto me, THESE ARE THEY WHICH CAME OUT OF GREAT TRIBULATION, and have washed their robes, and made them white in the blood of the Lamb. THEREFORE ARE THEY BEFORE THE THRONE OF GOD, AND SERVE HIM DAY AND NIGHT IN HIS TEMPLE, and he that sitteth on the throne shall dwell among them". THE 1ST GROUP: "follows Him wherever He goeth." THE 2ND GROUP: "serves Him day and night in His temple." In the second group of 144,000, we see they are sealed on earth and then we see their rapture into heaven after their time of 1,260 days of service is over. "And after three days and a half the Spirit of life from God entered into them, and they stood upon their feet, and great fear fell upon them which saw them. And they heard a great voice from heaven saying unto them, Come up Hither. And they ascended up to heaven in a cloud; and their enemies beheld them." It seems probable that when the 2 witnesses are taken into heaven, the entire group of the then SLAIN 144,000 will be as well fulfilling Rev. 7:13-15 where they are all seen in heaven as a great group before the throne of God. THESE PEOPLE HAVE BEEN SLAIN, THEY DIED SO THAT IS NOT AN ESCAPE CLAUSE RAPTURE EITHER. This happens right after the sixth trumpet judgment; after this group is taken up, the seventh angel sounds his trumpet. So there you have it, the FIRST GROUP is taken up BEFORE THE 6TH SEAL. The SECOND GROUP is taken up AFTER THE 6TH TRUMPET with the two witnesses.. Revelation 11:13- "And the same hour was there a great earthquake, and the tenth part of the city fell (Jerusalem), and in the earthquake were slain seven thousand: and the remnant were affrighted, and gave glory to the God of heaven." THE REMNANT, WHO ARE THE BELIEVERS LEFT HERE, are frightened by an earthquake but give glory to God. Revelation 6,15- "And when he had opened the fifth seal, I saw under the altar the SOULS OF THEM THAT WERE SLAIN FOR THE WORD OF GOD, and for the testimony which they held. And they cried with a loud voice saying, How long, O Lord, Holy and True, dost thou not judge and avenge our blood on them that dwell on the earth?" And white robes were given unto every one of them, and it was said unto them that should rest yet for a little season until their fellowservants also and their brethren that should be killed as they were, should be fulfilled." These are the ones asking the Lord to avenge their deaths but God gives them white robes to wear and tells them to hold their patience a little longer because many more will be dying for their faith. Revelation 15:2- More martyrs joining them for refusing to worship the beast. These are "them that had gotten victory over the beast, and over his image, and over his mark, and over the number of his name." TIMEFRAME: Just before the last group of 7 Vial Judgments; all those who died for their faith including the second group of 144,000 are in heaven with the Lord before His final judgments take place on earth. A) Antichrist cannot manifest power over the Holy Spirit, it's true. He may, however approach God with request as with Job. Antichrist(s) are nothing more than tools which God uses. 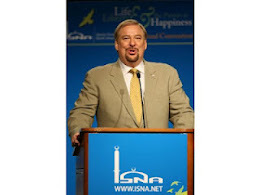 Q) ...IS MET WITH THE BRIDEGROOM IN THE AIR AT THE TIME THE HOLY SPIRIT IS REMOVED FROM THE EARTH. BOTH ENOCH AND ELIJAH KNEW NOT DEATH AND ASCENDED TO HEAVEN, SO THERE IS PRECEDENCE IN THE BIBLE FOR THIS MECHANISM. I REFERENCE MY INFORMATION FROM THE BOOK THINGS TO COME BY PENTECOST. "WE ARE APPOINTED NOT TO WRATH BUT TO SALVATION. - 1 THESS 5:9"
A) In Enoch's books, he explains how he was taken from earth up into the heavens by God. In the Apocryphical Book of Enoch, Enoch is said to have left the earth for over 300 years and then returned. This is evidenced by his books being found among the Dead Sea Scrolls and are present here today. Q) I REFERENCE MY INFORMATION FROM THE BOOK THINGS TO COME BY PENTECOST. "WE ARE APPOINTED NOT TO WRATH BUT TO SALVATION. - 1 THESS 5:9"
A) Anything written by Paul is iffy at best. Paul said that God gave him a thorn (demon) in-side to buffet him. My God does not give people throns to quell them, He heals. Paul said that he was blinded by God for 3 days. My God does not cause blindness, he opens our eyes to truth. It is true, Israel (God's people no matter who or where they are as in not a Jewish right) are not appointed to wrath but to salvation. Narrow is the gate and few be that find it. This doesn't mean we won't suffer. If that's the case then God owes all those before us an appology. Yahushua (Jesus) suffered and we aren't any better than he. IT'S THE CHURCHS WHO ARE FULL OF SIN AND ABOMINATION. CHURCH IN SMYRNA- Revelation 2:9,10- I know the blasphemy of them which say they are Jews, and are not, but are the synagogue of Satan. Fear none of those things which thou shalt suffer: behold, the devil shall cast some of you into prison, that ye may be tried; and YE SHALL HAVE TRIBULATION ten days: be thou faithful unto death, and I will give thee a crown of life. CHURCH IN THYATIRA- Revelation 2:18-29- thou sufferest that woman Jezebel, which calleth herself a prophetess, to teach and to seduce my servants to commit fornication, and to eat things sacrificed unto idols. CHURCH IN SARDIS- Revelation 3:1-6- thy works, that thou hast a name that thou livest, and art dead. Get out while you can, repent and seek God (YHVH) rather than man. Think your church, Pastor, congregation, etc and Christian books, music or zines couldn't fall prey to these? That's not what my Bible says. Thank you for your very excellent, well studied commentary. While I agree with you that the catching away of the saints happens at around the 6th seal, just prior to God's wrath, (Rev. 6:17, I have never studied a 2-group theory as you have presented, so I will have to look into this further. "Catching away of the saints happens at around the 6th seal, just prior to God's wrath"???? But what about the verse that says, "the whole world will be deceived", does that not include the saints if God isn't going to rapture anyone then?? Also, does anyone know why after the 3rd chapter in the Book of Revelation, the "church" isn't mentioned until "several" chapters afterwards???? NO ONE HAS BEEN ABLE TO EXPLAIN THAT TO ME YET, ONE MAIN REASON WHY I'VE DECIDED TO ACCEPT "NONE" OF THESE THEORIES, and to just wait to see (if I'm still here that is) what happens. Way too many "what ifs and maybes", so I'll let God/Jesus give the 'answers' for themselves instead. Again, I have to wholeheartedly agree with your statements. I also think there are many, many pre-tribbers fellowshipping at pre-trib only message boards only know deep down they are wrong,but don't want to admit it because if they do, they can no longer stay post on the message board, such as Rapture Ready. How sad. Even today, many of your churches across America have a pre-trib doctrine attached to their 'statement of faith', and if a new pastor comes in and is not pre-trib, he is out of a job. The good news is, many people are having their eyes opened up because of the internet and seeing the truth about the catching away of the saints through God's Word for the first time!! I came to this site from a news source link. I personally have not believed in the pre trib rapture since the 70's Paul states that the man of perdition 1st will be revealed then the catching away. The league is as i saw it ,a group,this you verified for me. So at this point not one person makes this agreement, only when the 2 prophets are killed will this happen because he is the only 1 who can kill them. Believers now suffer under MAN'S WRATH. That is the tribulation Christ was speaking of and promising. We have no way of knowing how bad the tribulation from MAN will become at any one time. Corrie lived during an especially harsh time of trouble. American believers have almost no persecution at the present time, while Christians in the Middle East, China, and other places suffer greatly. The rapture is promised to believers to escape the time of GOD'S WRATH being poured out upon wicked man. At no time in the Scripture did GOD pour out His wrath upon believers. He always removed them first. That's the big difference. I teach my children to be prepared to suffer from man, up to death even. I don't teach them that God will pour out His wrath upon them, should we live in the last days. God himself promised to bring us home first. Blessed are the coming martyrs in the United States. Let us die with love and forgiveness for our enemies and try to convert them right up to the moment of our deaths. OK, let me get this straight. In 1 Thess 4 Jesus comes part way to the earth and the believers go and the unbelievers stay behind. In Matt 24 Jesus comes all the way to earth, the believers stay on earth but the unbelievers go. In 1 Thess 4 the believers go to blessing. In Matt. 24 the unbelievers go to death. Someone care to explain to me how this is the same event? Also, If the rapture happens at the end of the tribulation, don't all the believers get a glorified body? If that's the caes, who will populate the earth since all the unbelievers will die? I didn't realize the glorified believers would be procreating. What does that do to all the prophecies concerning the millenial reighn? No one is going to rob me of my Blessed Hope and the fact that God will catch up His Church and a new phase will begin. To call that false doctrine is just plain silly. The Bible warns about the delusion of those who would rob the Church of their Blessed Hope, the Rapture of the Church. That ends the Church Age. Then comes the time of Jacob's trouble and God's dealing with Israel. You have been taught the lie of dispensationalism and a pre-tribulation rapture, which is not taught in the Scriptures. At no time does Jesus come part way to the earth and the believers go. Here is a link that gives you a complete study on who will populate the MILLENNIUM. There is a video, and a commentary after the video. I suggest you have your Bible handy as you watch the short video and read the commentary so you can look up the verses for yourself that Dr. Gavin Finley refers to. Hope this answers your question(s) and helps you. Just found your blog. Exelent and Thank you. Like this post and Cory ten Boom letter. Keep good work. And thank you for supporting Messianic Jewish believers. I will come back to your blog sometimes. Franklin Graham's warning of coming persecution of Christians echoes what his mother Ruth and father Billy have clearly stated. Re Ruth, see search engines including Google for "Letter from Mrs. Billy Graham." To see what Billy has written, Google "Famous Rapture Watchers - Addendum." "They" also believe that the 'Catholic Church' and True Christendom serve 'the same God and Savior', despite the Catholic's Church's "veneration of Mary, the saints, dead people, etc.". There was even a time when Graham turned Christian converts over to the Catholic Church (heard they still do this to this day), and didn't believe there was anything wrong with it and neither it seems does Franklin. Anyway, as I stated, whatever 'Trib' is coming, guess we'd ALL better just wait for God and Jesus' lead and leave it at that. The ticket at the train analogy has been one of my favorite stories of hers for many years. It is so comforting to know that when it is needed He will cause His grace to flow. That is so true, Joanne! Thank you for visiting. This is quite interesting. What is the original source for this letter? Was it ever published anywhere? A curious, strange question you ask. Corrie's source, obviously is the Holy Scriptures. Now, was it ever published anywhere? Of course. Seek and ye shall find. To the anonymous person who left a message today, May 14, 2011... I must decline to put your comments up here because there is no scriptural basis for what you have said. Please bring forth scripture to substantiate your unbiblical theories. Thank you for your comments; While I do not intend to debate pre-mid-or post trib with you because this is not a "debate board", I will say that Corrie meant exactly what she said in this letter. Christians will go through the great tribulation, and there is no escape from it. What I see from your comments is that you are attempting to misrepresent what Corrie has written regarding the great tribulation period and what she meant, similarily as many do in misrepesenting the words of Jesus in Matthew Chapter 24. There is no getting around it, Jesus said His people would be caught up to meet him in the air after the tribulation of those days. Likewise, Corrie is confirming what Jesus said. "Jesus said His people would be caught up to meet him in the air after the tribulation of those days", so that means they WILL be DECEIVED as well, and end up dead then right??? corrie was and is my favorite grandmotherly martyr for the sake of the gospel. she warned 'believers', but they will not take warning - they continue incessantly going on willy-nilly shopping, marrying, partying without any indication that they ever knew G_D. they support him!! and deliver little ones into his clutches!! I stumbled upon your site for the first time a few days ago. Until about 3 months ago I used to believe in an imminent/any moment coming of the Lord Jesus Christ, in other words, the 'secret rapture'. I have been a believer for 11 years now and when the Lord revealed to me through His Word that the pre-trib rapture is NOT taught anywhere in the bible I was stunned,absolutely stunned! The pre-trib theory is just that,a theory! There is NOT ONE place any where in the bible that teaches it! I am not super intelligent, but am not stupid either (I was made in His image). About the same time my studies convinced me of the pre-trib deception I happened upon Corrie Ten Boom's letter! It all fell into place. She may not be a recognized 'theologian' but there are that many false teachers (theologians?) out there that ordinary folk like me should pay earnest heed to James 3.1! Jeremiah 31.34 teaches us that God (not man) is our teacher! If only the bible was our first port of call (2 Tim 2.15 ) and not Rapture Ready etc! I am delighted you found my blog, and thank you for your candor concerning the false teachings of a pre-tribulation rapture. Of course there could not ever be an imminent "pre-trib" rapture as many of writings here have scripturally pointed out. 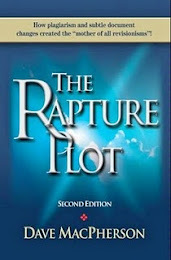 Too many biblical prophecies had to be fulfilled before any "rapture" could occur; therefore, it could not be "imminent". That's not too difficult to see. Your pre-trib folks have been merchandising this false theory, or lie, for profitable monetary gain; in otherwords, merchandising the precious Gospel of Christ, and have changed the truth into a lie. Why else would they keep on promoting this lie? They spend most of their time trying to prove a theory that cannot be scripturally backed up rather than just believe what the Lord has written. I myself got caught up in this big lie many years ago; thank God I did not stay there for long because of a good Christian friend kept pointing out the errors of the pre-trib lie until eventually, I could see the truth. The pre-trib theory has cultic beginnings, and like any cult, it is difficult to break out of. Message boards such as Rapture Ready.com refuse to even consider the biblical teachings vs. the lie they promote on their message board. There definitely is no shortage of false teachers these days. However, I have heard inspite of this, there are those who are beginning to see the truth and going elsewhere to fellowship, so God is opening up eyes for those seeking the truth. You mentioned Islam and the persecution of Christians for their faith. My heart breaks when I read what is happening to our brethren in Islamic countries. I ask the Lord what did I do to deserve to born in a free western country while my brothers and sisters in SA, Iran, Syria, Egypt are tortured and persecuted and beheaded for their faith in Christ? As the saying is, somethings are worse than death such as living in an Islamic country. This site is packed full of blessings!! Be sure an check out Daniel's Four Beasts, The Beast and Antichrist. You won't be disappointed. I will look that up when I get time. I am currently reading 'The Millenium and Israel's Future' by B.W.Newton. Is it your conviction that these 'false' teachers may indeed,or some at least may have received a revelation that the pre-tribulation rapture is not biblical but have maintained the status quo because they will lose face,revenue and fellowship etc? As I have only been recently awakened to the deception of the pre-trib position I sometimes call this teaching 'Satanic' and have been told by some that that view is 'Too hard' but how can it be? A lie is a lie? And who is the father of lies? It was a meeting in England 2001 where David Pawson was the main speaker that brought me to faith in the Lord Jesus Christ! He is an excellent teacher. But a short while later I got tangled up with a Messianic outfit and went down all sorts of strange routes! It’s nice to hear from you again. Yes, I am of the opinion that “some” of the false teachers for a pre-trib rapture know in their heart that their doctrine is only a theory, not biblical truth and in fact a lie. For fear of reprisal from other pre-trib false teachers, they remain silent. 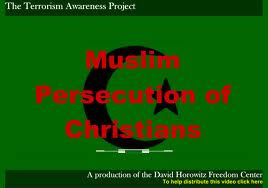 There is just too much great tribulation and severe persecution against true Christians in Islamic countries and other places around the world for anyone professing to be a teacher of the Word to ignore. Tribulation is now and has been for hundreds upon hundreds of years for true Christians. The western church is a dead church. Too much end time prophecy is and has been fulfilled in our generation to ignore. Daniel’s Book, according to the above scripture, has been sealed until the time we are now living in, the time of the end, and prior to Israel becoming a nation in 1948, and the Jewish people retaking the Holy City in 1967, which fulfilled the times of the Gentiles, Luke 21:24, we could not fully understand much of what Daniel was talking about. Now that Daniel’s book has been opened, we can see that most of Daniel’s prophetic Word and what Daniel was writing about has already been fulfilled. A prophecy teacher would have to be blind and apostate not to see it. The Lord does not ignore false teachers. It’s not enough to just claim to love the Lord, and knowingly promote a lie and merchandise the Gospel of Christ for monetary gain through books and sales. Acts 17:11. Freely ye have received, freely give. Matthew 10:8. On the other hand, some have bought into the pre-trib rapture lie, and cannot see the truth. (yet?) This is a lie right from satan, as you say, and we can only keep presenting the biblical truth when we have the opportunity to those who will listen. I have challenged several pre-trib people and not a one of them can give me a scripture to back up their theory because they are listening to the lie. It’s so easy to get caught up in all sorts of teachings after you have been born again. That is when satan attacks us the most. God is testing our faith and beliefs. I don’t know a Christian that hasn’t had this problem, but thank God, through Jesus Christ, we are not there yet, and we are forgiven if we confess our faults when we are aware of them. He will always lead us back to the straight and narrow! Thanks for all the feedback, guess that's one reason in particular, why I've had so many questions about 'the rapture theories' (and still do, but will wait for God and Jesus to finally answer them instead), and wasn't sure who to trust. Knowing that Christians will be intentionally deceived by satan, and eventually murdered by him as well, still has me shaking my head, but what can you do??? Hello Preta, and blessings to you... Thank you for visiting. The elect, or Christ's true church will not be deceived according to Jesus because Jesus said "if it were possible". We are watching the signs that Jesus gave us outlined in Matthew's Gospel Chapter 24, being lead by His Holy Spirit, so that we will not be deceived. What can you do, you ask? Watch the signs that Jesus gaves us, especially watch what happens in Israel as it relates to God's prophetic Word in the OT, pray, and be a witness for Christ in word and deed, especially tell the lost of the need of repentence and that Jesus shed His blood for them on the cross to atone for their sins. For some unknown reason, your comments did not show up on the comment section in sequence. I will attempt to address the remainder of your questions and comments with direct scriptural references as time permits within a day or two. Presently, I am under other commitments. Thank you for your patience. "WHY WOULD A LOVING, HOLY, AND WONDERFUL LORD, LET THOSE WHO LOVE HIM AND THE FATHER WITH ALL OF THEIR HEART, AND WHO SERVE THEM AND LOOK FORWARD TO SEEING THEM, BE PURPOSELY LEAD ASTRAY, DUPED LIKE THE REST OF THE WORLD, AND EVENTUALLY SLAUGHTERED FOR THIS LOVE"(I KNOW, HE DIDN'T SPARE JESUS SO WHY SHOULD WE BE SPARED)????" Look around you my sister and you will see that throughout the Middle East, Asia, Africa, and Israel multitudes of Christians who love the Lord with all their heart and serve only him , and Jews are being slaughtered and beheaded in the name of allah on a daily basis. Don’t be shocked because Jesus told us this would be. Jesus said in the world you will have tribulation. Jesus also said that you will be hated for His name sake, and killed. GUESS WHAT CORRIE, YOURSELF AND OTHERS ARE SAYING IS,"NO MATTER WHAT CHRISTIANS ARE GOING TO BE MADE TO FOLLOW SATAN, THE FALSE PROPHET, ETC., BE TRICKED, AND BEHEADED FOR SHOWING JUST HOW MUCH WE LOVE AND SERVE GOD AND JESUS"??? SO, LIKE THE APOSTLES, CHRISTIANS WILL BE MURDERED FOR SERVING JESUS, NO MATTER WHAT, AND THERE WILL BE "NO" ESCAPE FOR THEM, AND THE NON-BELIEVERS AND SATAN WILL GET THE UPPER HAND ON THEM?? TALK ABOUT A BLEAK PICTURE HUH???? No, that is not what anyone has said, my friend. No one can make a true Christian follow satan. We are sealed with the Holy Spirit. Christians have been ,and right up to this very day, persecuted and are being murdered for the name of their Saviour, Jesus Christ. Did not Jesus tell us this would happen beforehand, and to count the cost. Saints (Christians) (church) will be in the tribulation. "I, Jesus, sent my angel to testify these things [the entire book of Revelation] to you for the churches" (Revelation 22:16). Now let’s look at the word "escape" “Escape” does not me caught up to meet the Lord in the air, what now is dubbed a “pre-trip "rapture". What the word "escape" means according to the original Hebrew-Greek concordance is to "flee", and not caught up to meet the Lord in the air. From G1537 and G5343; to flee out: - escape, flee. I hope I have answered your questions. If I can be of further assistance, or if you have something else, please contact me again and I will try my best to answer it for you. There are many other scriptures that I could give you, but I would have to write most of the New Testament. Re: "Author of confusion", I didn't mean God, I was talking about myself, mainly because so many are putting their own interpretations on the scriptures, and when I read them I just take them for what they say, but then others keep saying it means something else. I feel as if my eyes are being opened and false doctrines are falling away from me like scales...three in one day...the rapture, the Godhead, the apple. I am so grateful that the Lord leads and guides me and His Word a lamp unto my feet. Thank you for standing up for spreading the Truth of Jesus Christ our Lord and Savior. Prayers for all associated with this site in the precious name of Jesus. God will always reveal the truth to those who are seeking and reading His Word, rather than listening to teachings of man. Thank you for your prayers. Blessings to you. Will We See Our Beloved Pets Again? Obama “Ready” To Go To Israel?